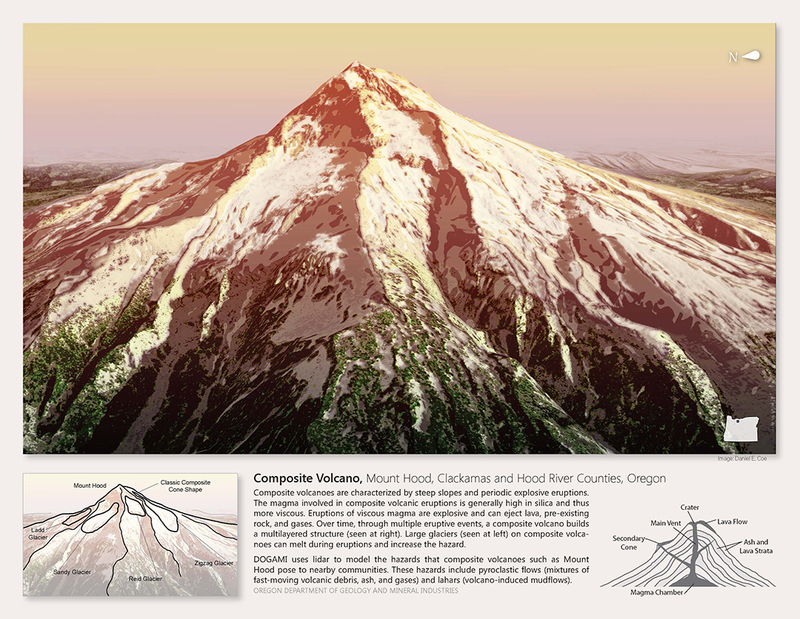 Project: The annual DOGAMI lidar calendar was a promotional product meant to highlight both the outstanding geologic features of Oregon and the different ways that DOGAMI uses lidar throughout the state. 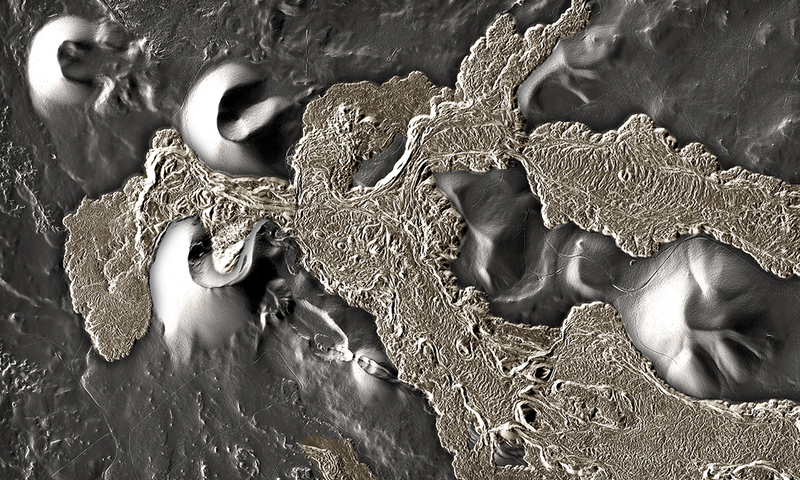 Through perspective and plan view visualizations, lidar raster and point data were used to create interesting images of Oregon’s natural features while promoting DOGAMI’s use of this technology to map and model the state’s natural hazards and geologic resources. 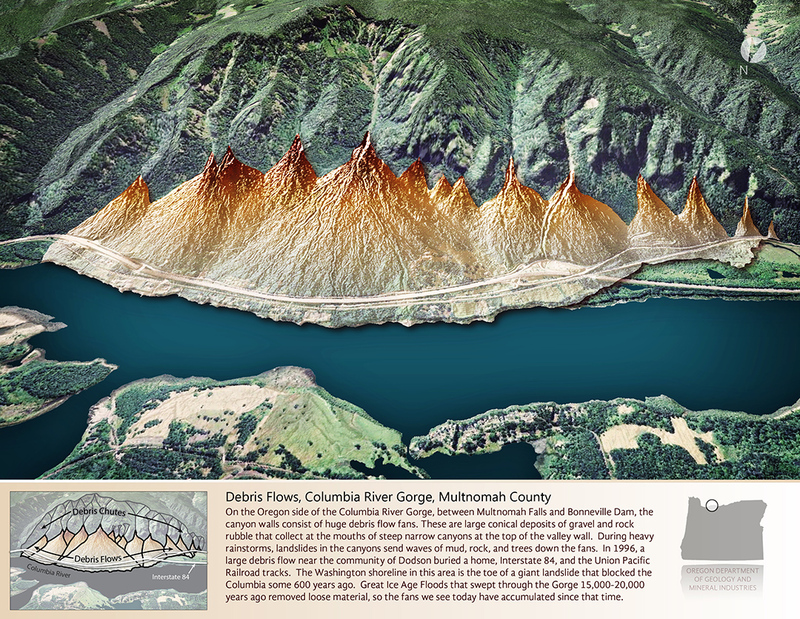 Massive debris flows in the Columbia River Gorge. 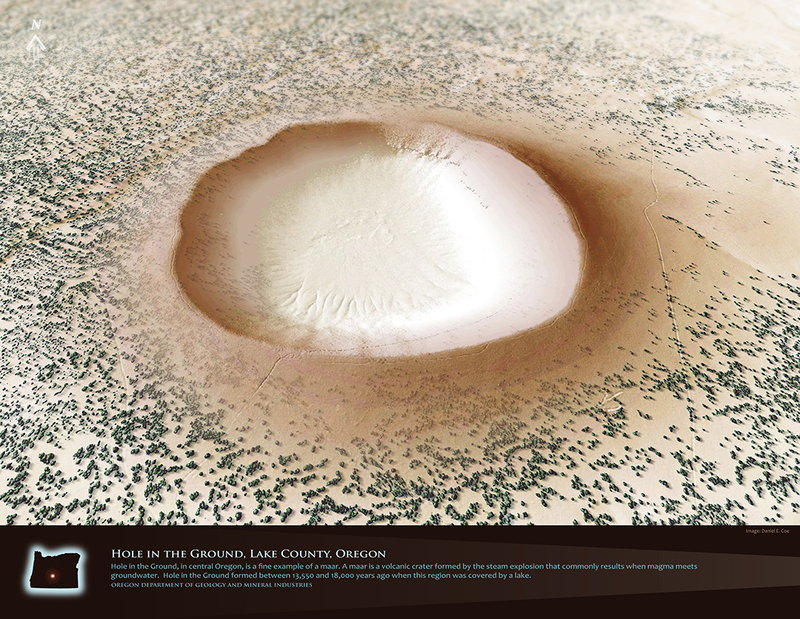 Hole in the Ground, a maar in Eastern Oregon. 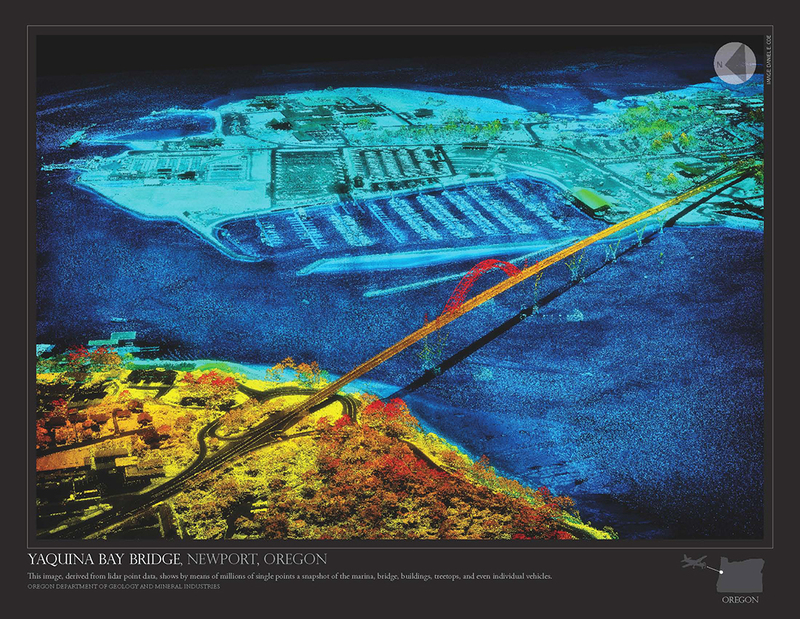 The Yaquina Bay Bridge and surrounding area in Newport, Oregon. 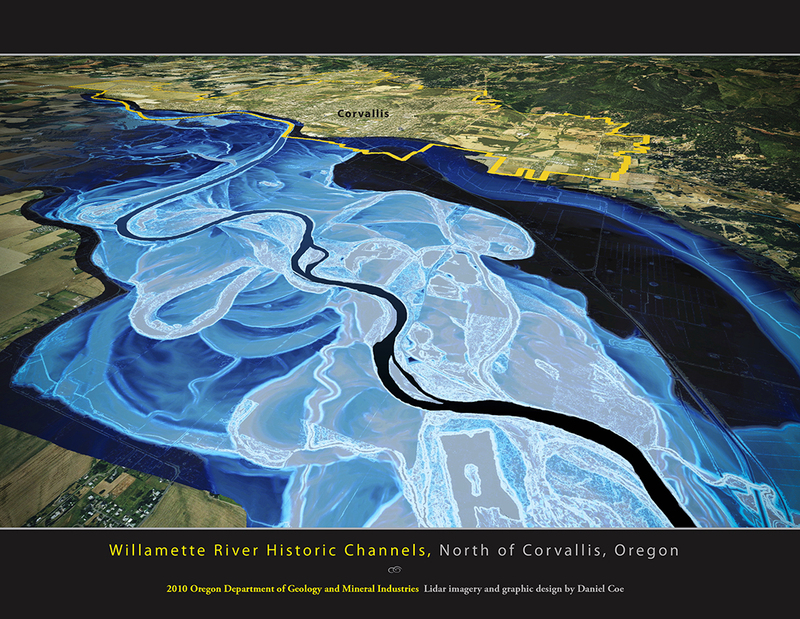 The Willamette River’s historical channels near Corvallis, Oregon. See all of the 2015, 2014, 2013, 2012, and 2011 calendar pages.